computer fan to an Arduino. I suspect hooking up my frig will? break it. sure the Arduino can handle it seems like a winner tutorial. thirty years doing software development…and I’m doing Arduino just for fun. Just ordered one. the best venue to post ideas for future Arduino videos? Thanks for the feedback. I don’t know too much about up grading the processor chip. I know the Arduino Mega’s have more? capability if that is what you are looking for? Great video. I’m curious about the power packs you put together for this. I’ve been thinkingto do this? for a lot of my devices but haven’t seen the male/female connectors in significant quantities. to upgrade – even if yo don’t blow the processor. Awesome!? Ty, keep up the fantastic work! Thanks for the feedback. It’s best if it? is anti-static. Cheers, Martin. Thank you for this video. That made me decide to purchase an Arduino Uno:) One question: the rubber band you stick to the bottom of? the board is it anti-static? Or should it be anti-static? I have a piece of ordinary white rubber which I believe is not anti-static I wonder if I can use it? Many? thanks for the feedback. Amazing, helpful and well organized video thanks a lot? Thanks very much for your? feedback. I’m used to programming chips and soldering them onto boards and making everything from scratch. This board should make things a lot simpler. So thanks for the tutorial. Surely many people? will benefit from your videos. Thanks for the feedback…and yes…it’s wicked they did not include the cable. Hope you get? sorted. Cheers, Martin. Great tutorial keep making them! it came with 2 servos 2 breadboards jumper cables pressure switchers tilt sensors, temperature sensors LCD screen and the arduino uno and a whole bunch of other little things which was? Thanks for the feedback and? support. Thanks for the feedback. It sounds like the application? is crashing for some reason. You need to check your systems logs to see if there is some indication there. Depending on the version of windows you can set the application to run and emulate an older version of windows to see if that works. I think I will start with arduino, I have learned the basics of making android apps with? 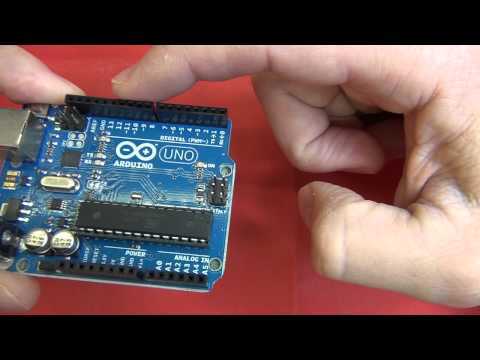 code, so arduino shouldn’t be so hard,.. I think…. My pleasure, thanks for the? feedback. perfect! thanks for your video is realy? helpful!!! !